Vitamins & MineralsScitec Essentials Bromelain - 90 tabl. 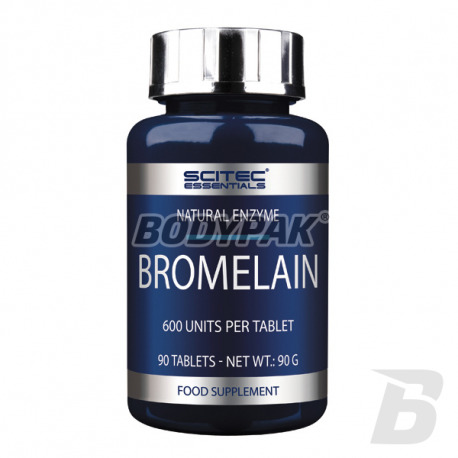 Scitec Essentials Bromelain - 90 tabl. Scitec Bromelain also possesses anti-inflammatory properties, making this a good and cheap remedy helps reduce muscle and joint pain and swelling formed as a result of intense training or injury. 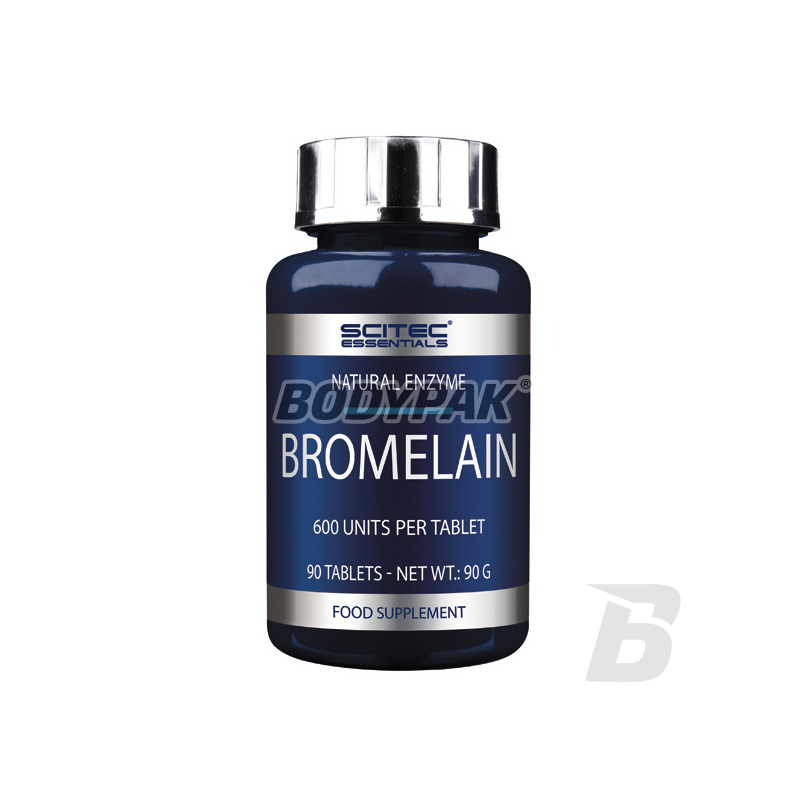 Scitec Bromelain is a means of containing the highest quality bromelain. Bromelain not only helps digestion, but also helps to break down fat. Thanks to Scitec Bromelain is an important measure in the fight against cellulite and the reduction diets (weight loss). Very good remedy for slimming tablets Bromelain helps in fast and effective weight loss and helps to get rid of cellulite. This excellent enzyme from Pineapple Bromelain is an ideal supplement for everyone - reduces the risk of complications associated with injuries of tendons and muscles, accelerate the absorption of the swelling and bruising, and cause faster healing of wounds and scars, making them indispensable after any injury or surgery surgery. Bromelain also has a beneficial effect on the faster healing of gums after tooth broken away and other treatments in the oral cavity and supports the human immune system. Table 1. 2-3 times a day. Zawsze miałam problemy trawienne, co utrudniało mi normalne funkcjonowanie. Naczytałam się sporo o bromelinie i postanowiłam spróbować. Działanie już odczułam w pierwszym tygodniu, oczywiście pozytywnie! !